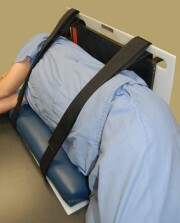 To aid technologists in positioning patients for cross-table lateral examinations. 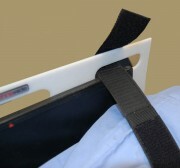 The decubitus pad ensures that hte patient is elevated into a position above the plane of the imaging receptor for adequate imaging of the targeted body part. 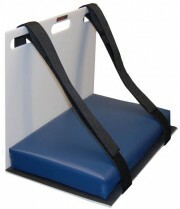 Removeable straps are easy to position and are 76" long to provide ample room for positioning patients of all sizes. 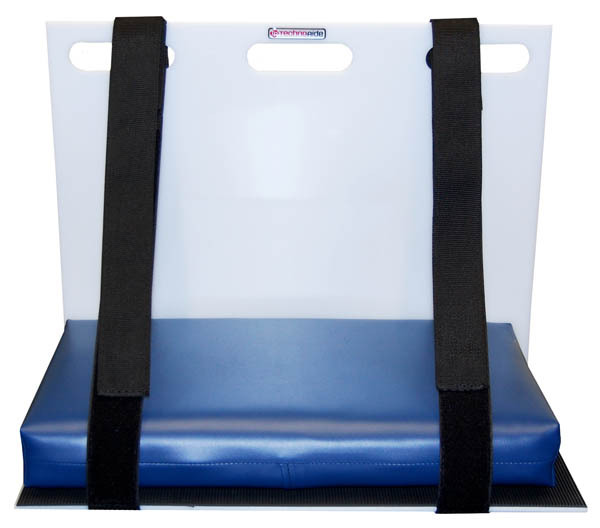 Bolster pad is a high density firm urethane foam that is not radiolucent but made to provide great support for decubitus imaging Blue outer cover is heavy gauge reinforced vinyl. 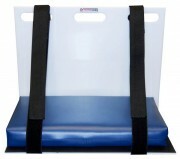 Seams are sewn and tear resistant. Easy to clean. 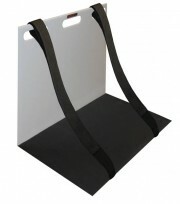 20" x 13" x 3" in size.